Evil D wrote:My only problem with carrying a small fixed blade is how exactly to carry them. I would carry something like an Izulu if I had a sheath that clipped into my pocket like a folder does. I tend to hate things hanging off my belt so a belt sheath is out unless I'm hunting or something like that. For true EDC it needs to be as concealed and convenient as a folder. Cajun Leatherworks from Etsy makes some nice clipped pocket sheaths as well. I had this one made for my Air. 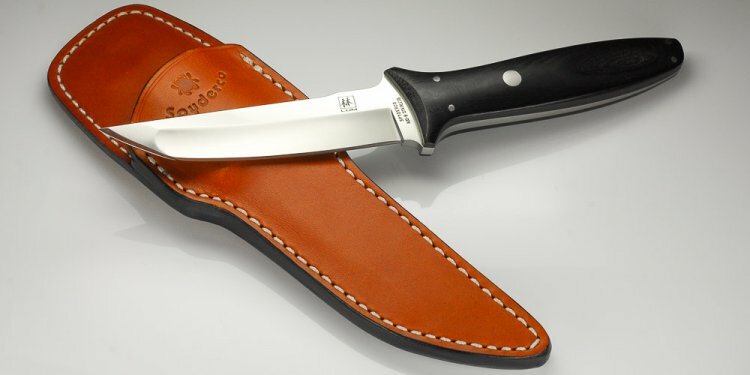 the last and probably my favorite option is the front pocket sheath made by Collector Knives. I carry a GEC Clip point fixed blade in that. Sorry, no pics but this link might work. I carry them clipped inside my front pocket with the clip facing out. Only the handle of the knife protrudes out of the pocket.